Irving Lee Dorsey (December 24, 1924 – December 1, 1986) was an African American pop and R&B singer during the 1960s. His biggest hits were "Ya Ya" (1961) and "Working in the Coal Mine" (1966). Much of his work was produced by Allen Toussaint, with instrumental backing provided by The Meters. 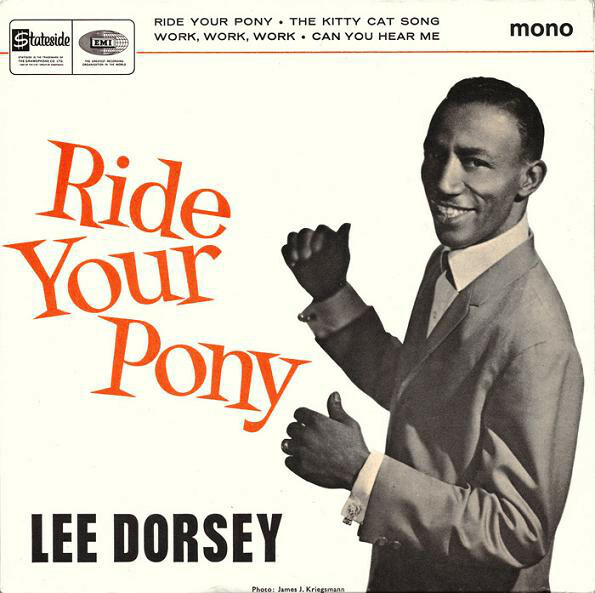 Toussaint wrote the song "Ride Your Pony" and recorded it in 1965 .It is taken from the album 'Ride Your Pony'. get on your pony & ride; all right! (Ride your pony) get on your pony & ride; ah you're ridin' high!